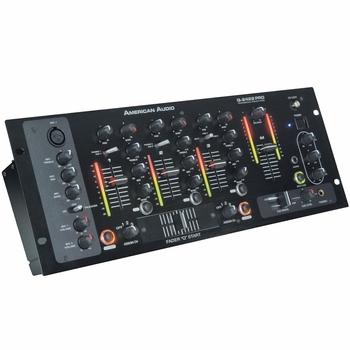 American Audio Q-2422 Pro 19" Rack Mount Mixer DJParts - All Variety of Parts that DJ Needs. 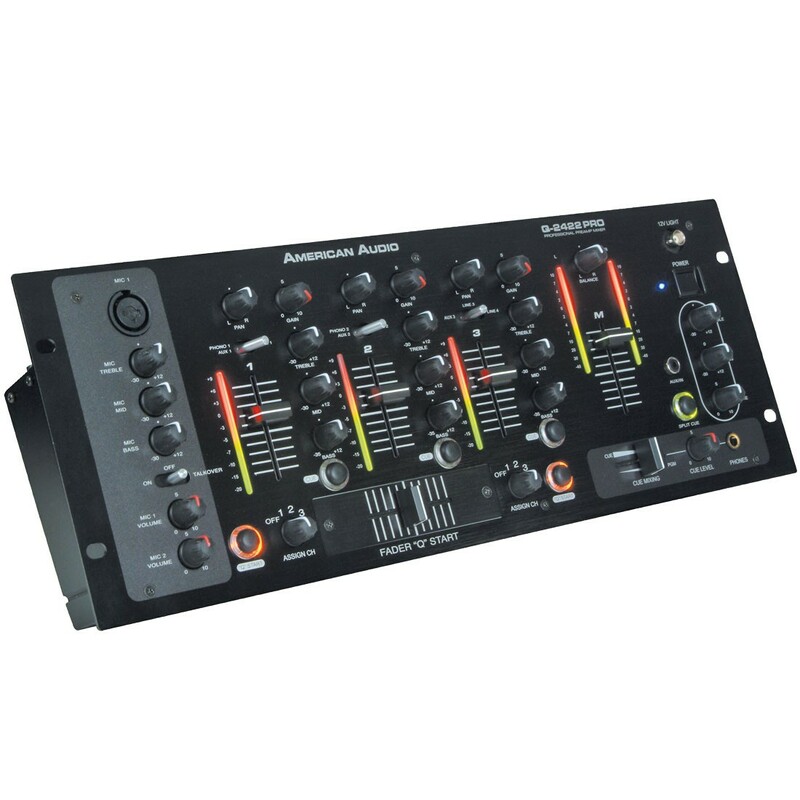 • New improved sound quality • 3-channel, 19-inch professional DJ mixer • 2 Phono, 4 Line, 2 Aux, & 2 Mic Inputs • Stream Flow™ LED indicators on each Ch. • Easy access auxiliary input on front of the mixer to plug in MP3 players, or satellite radio receivers . Bass, Mid & Tremble Control and separate volume for Mics • Q-Start • High quality Feather Fader™ for Smooth, Clean Crossfades (Replaceable) • Balanced XLR outputs • Recessed back panel • 2 Zone Outputs • Volume, bass, & treble control for second zone • 3-band EQ per channel (Bass, Mid & Treble) • Independent Pan & Gain on each channel • Trim output adjustment on rear • Improved mic circuitry and longer lasting line faders • Dimensions (LxWxH): 7” x 19” x 4” (4 rack spaces) • Weight: 8 lbs.